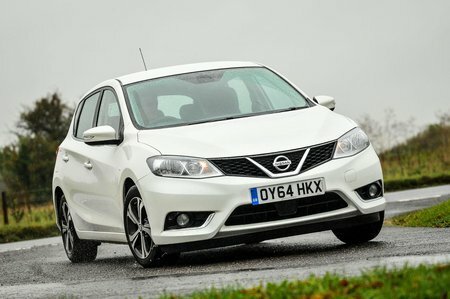 Nissan Pulsar Performance, Engine, Ride, Handling | What Car? The Pulsar is available with a 114bhp 1.2-litre turbo petrol engine, a 187bhp 1.6-litre turbo petrol or a 109bhp 1.5-litre diesel. The diesel isn’t exactly fast, but keep the revs above 1500rpm and it pulls progressively with no unpredictable surge when the turbo kicks in. The 1.2-litre petrol is a better choice, however; it’s usefully nippier than the diesel, and is adequately flexible. It’s not fast but it pulls cleanly from low revs and doesn’t feel hugely overworked. The flagship 187bhp turbo petrol is a costly choice and is unlikely to appeal to many as a result. It is quite fast, though. The Pulsar’s ride is a mixed bag. The Nissan feels well tied down over high-speed dips and crests, but while things never border on uncomfortable, you’re certainly jostled around more than in a VW Golf or Ford Focus. It’s perfectly tolerable if you’re just cruising along on the motorway, but it can become a little tiring on country lanes. Around town it’s fine, though, with a pleasantly plush feel. Entry-level versions get 16in wheels while n-tec and Tekna models feature 17in wheels that don’t compromise the ride. Top-spec Tekna models with the DIG-T 190 get 18in wheels, however, which are a little more jarring than the other trims’ wheels. The Pulsar handles securely and predictably, with a decent amount of grip. The steering could be better, though; it’s accurate, but the weight doesn’t always build quickly enough when you turn in to a corner. This can make the Nissan a little disconcerting at higher speeds, as you never really have a good idea of what’s going on at the front. It’s easy to park at lower speeds, though, because the steering is light enough when moving slowly. The DIG-T 190 has some altered spring and damper settings which improve the handling slightly, and the steering rack has been tweaked to offer some sharper steering, but it’s not significantly better than the other models. The diesel engine is a bit gruff, but otherwise the Pulsar is a hushed cruiser, with little wind or road noise filtering into the cabin on the motorway. 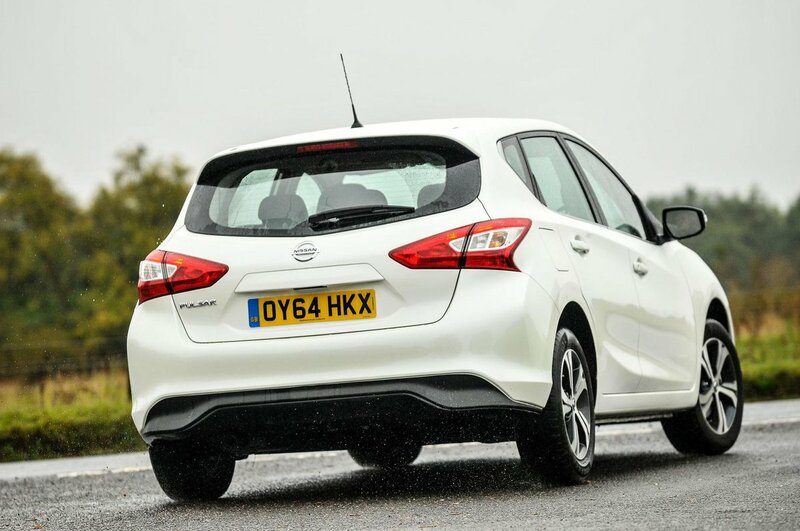 In fact, with the 1.2-litre petrol engine fitted, the Pulsar is noticeably quieter inside than most rivals. Even when worked hard the engine remains quiet and it delivers its power very smoothly. The controls could feel better, though; the numb clutch and accelerator, soft brake pedal and vague gearshift take the edge off what is otherwise a pleasant car to drive.